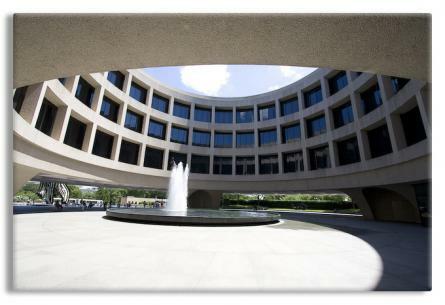 The Hirshhorn Art Museum and Sculpture Garden is located in Washington, D.C. and was designed by architect Gordon Bunshaft. It was conceived as the United States' museum of contemporary and modern art. It focuses its collection on art created during the last 30 years. Outside the museum is a sculpture garden, featuring works by artists including Auguste Rodin and Alexander Calder.